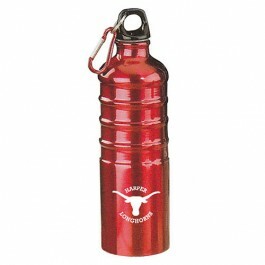 Light weight aluminum water bottle with multi-ridge design body. Carabiner clip on leak proof loop cap. Fit in atuo cup holder.